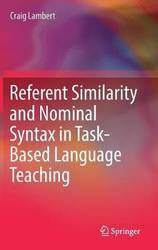 This volume addresses an important gap in the literature on task design and second language use. Building on insights from over 50 years of research on the relationship between task demands and language use, it examines how referent similarity relates to developmentally-relevant variation in the use of nominal structures, comparative structures and abstract lexis among first and second language speakers of English. In addition to providing an empirical basis for future research on tasks, it shares both theoretical and practical information on task design, which will greatly benefit curriculum and material developers. 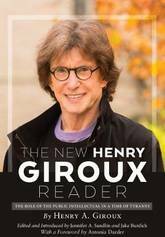 The New Henry Giroux Reader presents Henry Giroux's evolving body of work. 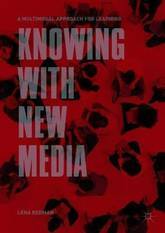 The book articulates a crucial shift in his analyses after the September 11th, 2001 terrorist attack, when his writing took on more expansive articulations of power, politics, and pedagogy that addressed education and culture in forms that could no longer be contained via isolated reviews of media, schooling, or pedagogical practice. Instead, Giroux locates these discourses as a constellation of neoliberal influences on cultural practices, with education as the engine of their reproduction and their cessation.The New Henry Giroux Reader also takes up Giroux's proclivity for using metaphors articulating death as the inevitable effect of neoliberalism and its invasion of cultural policy. Zombies, entropy, and violence permeate his work, coalescing around the central notion that market ideologies are anathema to human life. His early pieces signal an unnatural state of affairs seeping through the fabric of social life, and his work in cultural studies and public pedagogy signals the escalation of this unease across educative spaces.The next sections take up the fallout of 9/11 as an eruption of these horrific practices into all facets of human life, within traditional understandings of education and culture's broader pedagogical imperatives. The book concludes with Giroux's writings on education's vitalist capacity, demonstrating an unerring capacity for hope in the face of abject horror. This book provides a one-stop resource for mathematics educators, policy makers and all who are interested in learning more about the why, what and how of mathematics education in Singapore. The content is organized according to three significant and closely interrelated components: the Singapore mathematics curriculum, mathematics teacher education and professional development, and learners in Singapore mathematics classrooms. 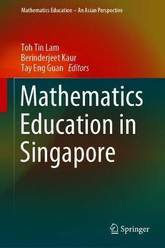 Written by leading researchers with an intimate understanding of Singapore mathematics education, this up-to-date book reports the latest trends in Singapore mathematics classrooms, including mathematical modelling and problem solving in the real-world context. This edited volume is a collection of empirical scholarship that focuses on curriculum as knowledge connected to the Latinx diaspora from three perspectives: content/subject matter; goals, objectives, and purposes; and experiences. In an effort to fill a void in scholarship in curriculum studies/theory for/from Latinx perspectives, this book is a beginning toward answering two important questions: first, what is the significance of the presence and absence of Latinx curriculum theorizing? And second, in what ways is Latinx curriculum theorizing connected to curriculum, as a general concept, schools' purposes, goals, and objectives and curriculum as autobiographical? 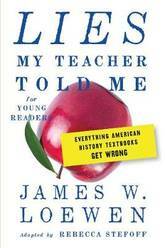 This book opens a door into understanding curriculum for/from an important population in U.S. society. Although Chinese societies have generally become striking as the classic over-achievers in international measures of academic performance, there has been no specialised publication exploring early childhood curriculum in Chinese contexts. Through this book, readers will learn more about how the Chinese context and culture collide with educators' beliefs about the right activities for children and educators in early childhood settings. 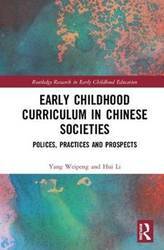 This book will be the first one of its kind to focus on early childhood curriculum in Chinese societies - from social context and culture to reforms and practices, and finally to the lessons that researchers, policymakers and practitioners could learn, as well as future directions. Is play valued? Are young children schooled earlier in Chinese societies? How do Chinese children learn in kindergartens? What is valued by Chinese educators when they implement early childhood curricula? How do Chinese teachers deliver early childhood curricula for their young children? Why were Chinese early childhood curricula implemented in these ways? Answers to these questions and more will be provided in this pioneering book. How can teachers introduce Islam to students when daily media headlines can prejudice students' perception of the subject? Should Islam be taught differently in secular universities than in colleges with a clear faith-based mission? What are strategies for discussing Islam and violence without perpetuating stereotypes? 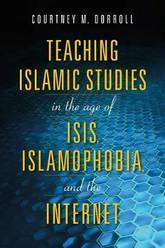 The contributors of Teaching Islamic Studies in the Age of ISIS, Islamophobia, and the Internet address these challenges head-on and consider approaches to Islamic studies pedagogy, Islamophobia and violence, and suggestions for how to structure courses. These approaches acknowledge the particular challenges faced when teaching a topic that students might initially fear or distrust. Speaking from their own experience, they include examples of collaborative teaching models, reading and media suggestions, and ideas for group assignments that encourage deeper engagement and broader thinking. 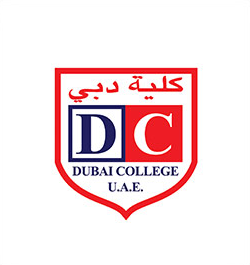 The contributors also share personal struggles when confronted with students (including Muslim students) and parents who suspected the courses might have ulterior motives. In an age of stereotypes and misrepresentations of Islam, this book offers a range of means by which teachers can encourage students to thoughtfully engage with the topic of Islam. 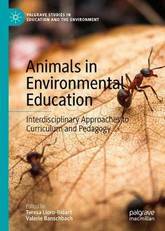 This book looks at the value of integrating the arts and sciences in the school curriculum. 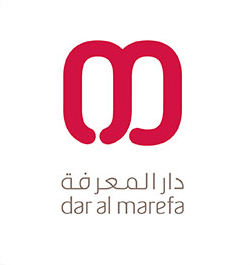 It argues that this will help students further their understanding of analytical concepts through the use of creativity. The authors illustrate how schools can work towards presenting common practices, concepts, and content. Coverage features case studies and lessons learned from classrooms across the United States. The notion of STEAM (Science, Technology, Engineering, Arts, and Mathematics) is an emerging discipline unique in its desire to provide a well-rounded approach to education. 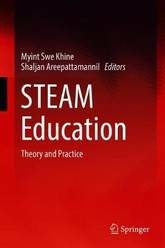 The chapters of this volume examine STEAM in a variety of settings, from kindergarten to higher education. Readers will learn about the practical considerations involved when introducing the arts and creativity into traditionally left brain processes. This includes best practices for creating and sustaining successful STEAM initiatives in any school, college, or university. For instance, one chapter discusses novel approaches to teach writing with the scientific method in order to help students better present their ideas. The authors also detail how the arts can engage more diverse learners, including students who are not traditionally interested in STEM subjects. They provide three concrete examples of classroom-tested inquiries: designing a prosthetic arm for a child, making a paleontology investigation, and taking a closer look at the arts within roller coaster engineering. This book is an invaluable resource for teachers and teacher trainers, university faculty, researchers, and school administrators. 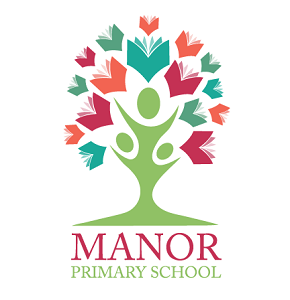 It will also be of interest to science, mathematics, engineering, computer science, information technology, arts and design and technology teachers. 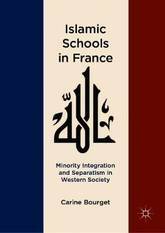 This book, the first on the growing phenomenon of private full-time K-12 Muslim schools in France, investigates whether these schools participate in the communautarisme (or ethnic/cultural separatism) that Muslims are often accused of or if their founding is a sign of integration, given that most of private education in France is subsidized by the government. Is Islam compatible with the West? This study proposes an answer to this question through the lens of Muslim education in France, adding to our understanding of the so-called resurgence of religion following the demise of the secularization theory and shedding new light on religion's place in the West and of Islam in diasporic contexts. 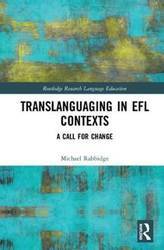 The purpose of this book is to promote the value of translanguaging in EFL teaching contexts. To date, translanguaging has been discussed mostly in regards to US and European contexts. This book will examine the teaching beliefs and practices of teachers within a South Korean elementary school context to evaluate the practices of current teachers who use translanguaging strategies when teaching. This examination utilizes sociological theories of pedagogic discourse to discuss the consequences of language exclusion policies on the peninsula. Using these theories, it presents an argument for why EFL contexts like South Korea need to reevaluate their current policies and understandings of language learning and teaching. By embracing translanguaging as an approach, the author argues, they will transform their traditional notions of language learning and teaching in order to view teachers as bilinguals, and learners as emerging bilinguals, rather than use terms of deficiency that have traditionally been in place for such contexts. 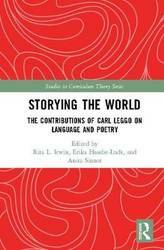 This book's unique use of sociological theories of pedagogic discourse supports a need to promote the translanguaging ideology of language teaching and learning. 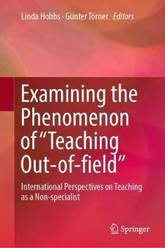 This book identifies and surveys the major themes around `out-of-field teaching', that is, teaching subjects or year levels without a specialization. This has been an issue in many countries for some time, yet until recently there has been little formal research and poor policy responses to related problems. This book arises out of collaborations between members of an international group of researchers and practitioners from Australia, Germany, Ireland, England, South Africa, Indonesia and the United States. Cross-national comparisons of ideas through case studies, descriptions of practice and research data interrogates the experiences, practices, and contexts relating to out-of-field teaching. In particular, the book considers the phenomenon of out-of-field teaching in relation to national policy contexts, local school leadership practices, professional development. The book represents an essential contribution on a highly topical issue that has implications for quality and equitable education around the globe. 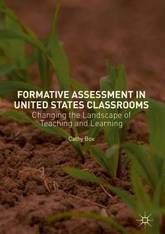 This book examines the history of formative assessment in the US and explores its potential for changing the landscape of teaching and learning to meet the needs of twenty-first century learners. The author uses case studies to illuminate the complexity of teaching and the externally imposed and internally constructed contextual elements that affect assessment decision-making. In this book, Box argues effectively for a renewed vision for teacher professional development that centers around the needs of students in a knowledge economy. Finally, Box offers an overview of systemic changes that are needed in order for progressive teaching and relevant learning to take place. This cutting edge book considers how advances in technologies and new media have transformed our perception of education, and focuses on the impact of the privatisation of digital tools as a mean of knowledge production. Arguing that education needs to adapt to the modern learner, the book's unique approach is based on a disassociation with the deeply ingrained attitude with which people have traditionally viewed education - learning the existing symbolic systems of certain disciplines and then expressing themselves strictly within the operational modes of these systems. The ways of knowledge production - exploring, recording, representing, making meaning of and sharing human experiences - have been fundamentally transformed through the infusion of digital technologies into all aspects of human activity, allowing learners to engage with their immediate natural, social and cultural environments by capitalising on their individual abilities and interests. This book proposes a new approach to teaching and learning termed `cinematic bricolage', which involves generating knowledge from heterogeneous resources in a `do-it-yourself' manner while making meaning through multimodal representations. It shows how cinematic bricolage reconnects ways of knowing with ways of being, empowering the individual with a sense of personal identity and responsibility, helping to shape more aware social citizens. 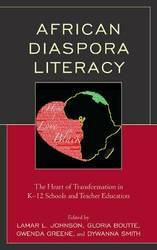 This book demonstrates the application of African Diaspora Literacy in K-12 schools and teacher education programs. The book emerged from a four-week Fulbright-Hays Group Abroad project to Cameroon, West Africa, which was focused on African Diaspora Literacy. The project was guided by the African principle of Ubuntu (I am because we are). The 15-member team was comprised of eight faculty members (representing five universities-Benedict College, Michigan State University, South Carolina State University, South University, and the University of South Carolina), one community member, two K-12 administrators, and four K-12 teachers from high need schools. The inclusion of such a diverse group of participants in the Kamtok project (e.g., professors, K-12 teachers, community members) lent itself to producing rich data that captured both the intellectual scholarship and layperson's experience with equilateral consideration. The purpose of the project was to gain firsthand knowledge, artifacts, documents, experiences, and resources to be used in the development, implementation, and dissemination of curricula to be used in K-12 schools and university classrooms to more effectively prepare educators to teach African American students. 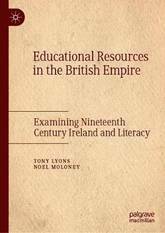 Focusing specifically on the language, history, politics, economics, religion, and cultural traditions of people in the African Diaspora (e.g, U.S., Africa, Caribbean, the Americas, Europe, Asia), this book illuminates critical information typically missing from K-12 schools and teacher education, and English curricula. Chapters are written by scholars from Cameroons as well as those from the U.S. The book represents a lovely compilation of application, theory, and research. The book explores how African Diaspora Literacy can be used to heal the endemic physical, symbolic, linguistic, curricula, pedagogical, and system violence that African American children and youth experience in schools and in society. Learn how to incorporate rigorous activities in your math or science classroom and help students reach higher levels of learning. 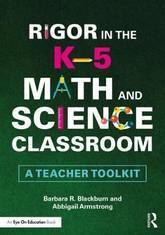 Expert educators and consultants Barbara R. Blackburn and Abbigail Armstrong offer a practical framework for understanding rigor and provide specialized examples for middle and high school math and science teachers. Topics covered include: Creating a rigorous environment High expectations Support and scaffolding Demonstration of learning Assessing student progress Collaborating with colleagues The book comes with classroom-ready tools, offered in the book and as free eResources on our website at www.routledge.com/9781138302716. 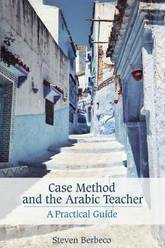 Case Method and the Arabic Teacher: A Practical Guide compiles original case studies that address the unique challenges of teaching Arabic at the high school level. 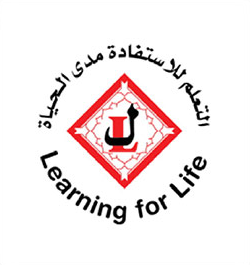 The book's engaging and accessible classroom scenarios reflect the experiences of a diverse group of Arabic teachers working in a variety of educational settings ranging from elite private schools to large public schools with low income student populations. 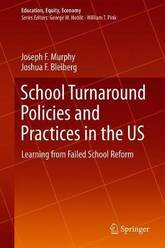 In the case studies, teachers offer compelling accounts of the political, institutional, and curricular issues they encountered not only in their classrooms, but also in their wider schools and communities. Combining research-based methodology with firsthand pedagogical narratives, this book is a valuable resource for teachers, teacher trainers, researchers, and other stakeholders who support the teaching of Arabic. Different regions of the world are making increasing demands for educational reform, especially when institutions are dissatisfied with the level of proficiency of their graduates. 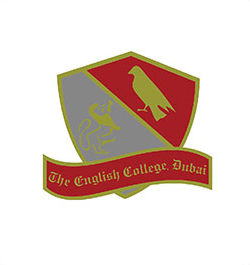 Since the realization of how important English education is to global success, reform to English education is becoming progressively vital in societies all over the world. 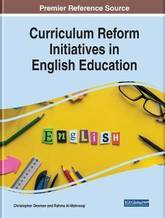 Curriculum Reform Initiatives in English Education provides research exploring the theoretical and practical aspects of a variety of areas related to English education and reform, as well as applications within curriculum development and instructional design. 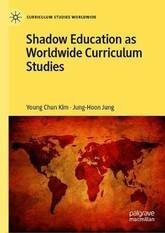 Featuring coverage on a broad range of topics such as teachers' roles, teaching methods, and professional development, this book is ideally designed for researchers, educators, administrators, policymakers, interpreters, translators, and linguists seeking current research on the existing body of knowledge about curriculum reform in English education in an international context. The infusion of technology into curriculum influences the methods and techniques used to educate the student population. By integrating effective technology in education, teachers are provided with a better opportunity to adapt and enhance the learning experience for students from various backgrounds. 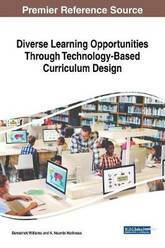 Diverse Learning Opportunities Through Technology-Based Curriculum Design provides innovative insights into the development and advancement of online instruction and educational technology to engage students from diverse backgrounds. The content within this publication addresses academic performance, technology integration, and online learning. It is geared towards educators, educational software developers, instructional designers, and researchers, and it covers topics centered on the methods to adjust, adapt, and implant the newest technology into contemporary curriculum. 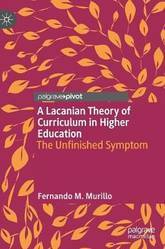 This volume presents a distinctively Lacanian psychoanalytic approach to the theorizing, understanding, and critique of curriculum in higher education. 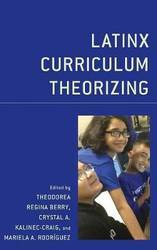 In this work, the author presents the main theories of curriculum in the current discourse, develops a notion of critique, and applies it to existing global guidelines for curriculum reform. Relying on the architectonic of the subject as developed across the work of Jacques Lacan-expressed in the registers of the Symbolic, the Imaginary, and the Real-the author provides a new approach to understanding curriculum in terms of the psychic dynamics that explain its workings. 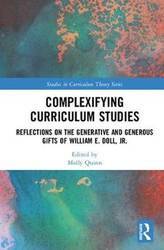 The essays in this volume bring together leading-edge scholars to illuminate the work of William E. Doll, Jr., as a key curriculum thinker of global impact, and introduce his work and influence to new generations of scholars, teachers, and students of education. Drawing on their individual contexts, contributors cover a range of topics and themes, including engagement with pragmatism, the work of John Dewey, and the inclusion of post-modern, chaos, and complexity theories to education and curriculum. Advancing our understanding and conversation of existing problems and possibilities in education, this collection serves as both an homage to Doll and a call for action and consideration of what matters in education. Improving STEM (science, technology, engineering, and mathematics) education and strengthening the STEM workforce have long been acknowledged as national priorities. Ceaseless efforts have been made to address these national priorities through educational research, innovative STEM education initiatives, and professional development for teachers. 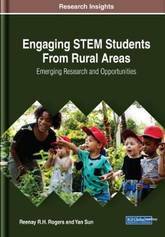 Engaging STEM Students From Rural Areas: Emerging Research and Opportunities is an essential reference source that discusses the potential of rural schools to impact the STEM workforce pipeline, as well as Project Engage, an educational program for preparing rural undergraduate students from the Alabama Black Belt region. Featuring research on topics such as the three-pillar approach for preparing tomorrow's STEM professionals, this book is ideally designed for academicians, STEM educational researchers, STEM educators, and individuals seeking coverage on techniques to improve the undergraduate STEM education framework. The More We Look, the Deeper It Gets: Transforming the Curriculum through Art provides inspiration and practical guidance for teaching with works of art in order to deepen engagement and improve student learning. 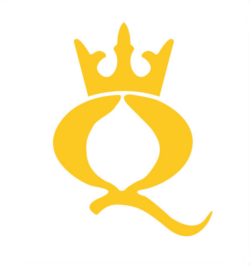 The book introduces the Pyramid of Inquiry, a flexible framework that teachers of all subject areas can use to support connections between students' lives, academic curriculum, and works of art from across time and place. 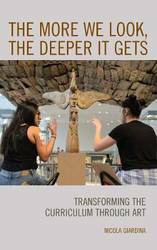 Based on three years of research with New York City K-12 public school students and educators at the Metropolitan Museum of Art, the book highlights best practices for teaching with works of art and shares exemplars from diverse classrooms. Readers will gain valuable insights, strategies and resources for leveraging the power of art to reach all learners. This book is a narrative inquiry that focuses on four participating Chinese teacher candidates' cross-cultural learning in Canada and stories of induction in Southwest China. 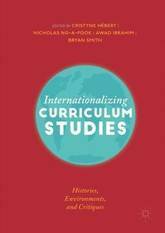 Through the lens of three-dimensional inquiry space and reciprocal learning in teacher education, the author explores the influence of cross-cultural experiences on the dissonance of pedagogies, teacher-student relationships, socialization, and beliefs about teaching and learning that interweave global and national curriculum boundaries. 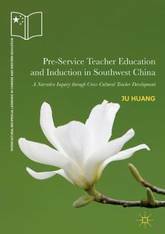 The chapters provide insight into how Chinese beginning teachers struggle to voice and to socialize among a cacophony of past practices, lived experiences, and cross-cultural experiences. 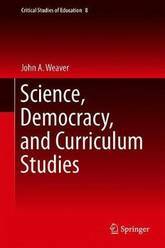 In this book John A. Weaver suggests curriculum studies scholars need to engage more in science matters. It offers a review of science studies writing from Ludwick Fleck and Thomas Kuhn to Philip Mirowski. The volume includes chapters on the rhetoric of science with a focus on the history of rhetoric and economics then on the rhetoric of models, statistics, and data, a critique of neoliberalism and its impact on science policy and the foundations of democracy, Harry Collin's and Robert Evans' theory of expertise followed by chapters on feminism with a focus on the work of Sharon Traweek, Karen Barad, and Vinciane Despret, postcolonial thought, with attention paid to the work of Daniela Bleichmar, Londa Schiebinger, Judith Carney, Sylvia Wynter, Paul Gilroy, and Sandra Harding, and a final chapter on Nietzsche's philosophy of science. Each section is introduced by an interlude drawing on autobiographical connections between curriculum studies and science studies.